Leica has spoken out over the price of its compact cameras in a bid to fend off concerns that they are merely pricier, rebadged, versions of Panasonic models. Leica is often criticised for launching more expensive versions of what are seen as Panasonic compacts with a Leica badge. The new Leica C, announced last weekend, is no exception, prompting digitaltrends.com to complain that ‘you’re paying for what is essentially a rebadged version of a Panasonic Lumix DMC-LF1′. The Leica C costs £550, whereas Panasonic’s LF1 was announced in April with a £379 pricetag – almost a third less. 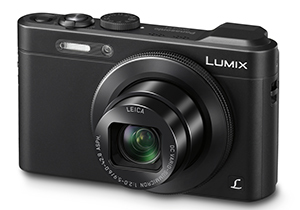 Like the Leica C, the Panasonic LF1 comes with a 28-200mm Leica DC Vario-Summicron zoom and a 12.1MP imaging sensor. Asked to explain the price difference, Leica said that its C kit includes Adobe Photoshop Lightroom software. Leica is also keen to stress that the first in its C-range is designed by car maker Audi which has also developed a range of ‘exclusive’ accessories for the new model. A spokesperson told Amateur Photographer: ‘The Leica C embraces Leica Camera’s commitment to creating a seamless user experience. Leica says owners are also entitled to attend a complimentary technical session, called the ‘Leica C Zinc Table Talk’, at its base in Mayfair. In addition, the firm points out that its customers can expect their camera to hold its value and ‘be reassured that it will not dramatically drop within a few months of purchase’. The Leica C is the first Leica compact to include Wi-Fi and Near Field Communication wireless systems – allowing images to be transferred to smartphones and computer tablets. The new camera, which is due to go on sale within days, will be available in a choice of ‘light gold’ or red finishes.